This is the most recent information about Chubby Checker that has been submitted to amIright. 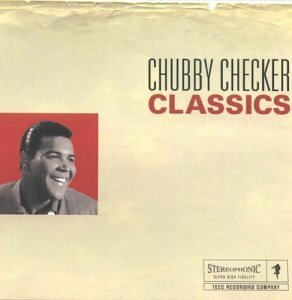 If we have more information about Chubby Checker, then we provide a link to the section where it appears (the actual page whenever possible). "Surf Part" originally "Surf Party"
"The Twit" originally "The Twist"
"Pony Tie" originally "Pony Time"
"Pony Tim" originally "Pony Time"
"Lazy Elsie Molloy" originally "Lazy Elsie Molly"
Molloy can be a surname. "Phony Time" originally "Pony Time"
"Lazy Ellie Molly" originally "Lazy Elsie Molly"
"Lazy Elsie Milly" originally "Lazy Elsie Molly"
"Lazy Elsie Polly" originally "Lazy Elsie Molly"
"Lazy Elsie Dolly" originally "Lazy Elsie Molly"
"Turf Party" originally "Surf Party"
When I first heard this back in the 1970's (and I think it was already pretty old then), Bert Lance was a member of then-President Carter's Cabinet and his name was always in the news. It's pony time, get up Boogety, boogety, boogety shoo. So, starts Checker's second #1 song (in spring 1961, and only other #1 besides "The Twist"). Again, Checker went back to introducing a dance craze for his second #1, this time, "The Pony". Come on baby let's do the twist. So starts one of the most important introduction to a dance craze songs of the rock era. "The Twist" was a #1 for Chubby Checker twice (summer 1960 and winter 1962) and is the definite template as to how all other introduction to dance craze songs in the rock era would be done. 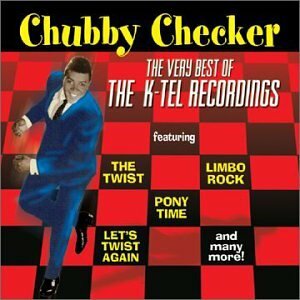 But Chubby Checker did not originate "The Twist" (although he definitely popularized it). "The Twist" was written by Hank Ballard in 1958, and was originally released as a single by Ballard and his group the Midnighters (but didn't get very far). Checker heard Ballard's version and loved it and the rest became popular history, as well as legend. "Slow Twist In" originally "Slow Twistin'"
"Pop, Eye The Hitchhiker!" originally "Popeye The Hitchhiker"
"Let's Twist A Gain" originally "Let's Twist Again"
Like maybe twist truth to extract some advantage? "Money Pit" originally "Pony Time"
"I Met Pony" originally "Pony Time"
"Nip My Toe" originally "Pony Time"
"Pity On Me" originally "Pony Time"
"My One Tip" originally "Pony Time"
In 1962, Catholic school students in New York are forbidden to Chubby Checker's version of "The Twist", by Bishop Burke, who considers it and other dance craze songs to be "un-Christian".